Goldust is a true WWE legend. Being in the business for over 30 years, “the bizarre one” has seen it all when it comes to Vince McMahon’s squared circle. He’s looking forward to meeting his long-time fans at Detroit’s upcoming pop culture convention Astronomicon, which begins on February 8. Before sharing stories with his supporters in-person, Goldust sat down with Still Real To Us in an exclusive interview and talked about his brother Cody, and the bright future of AEW. When one of the best ice hockey teams in the NHL decides to celebrate a professional wrestler’s career, it means you’ve officially made it. Goldust experienced many highs and lows throughout his memorable career as a sports entertainer. As Goldust matured later on in life, he realized it was a lot more fun to sit down with his fans, and appreciate their continued loyalty. There’s been a lot of variations of the Goldust character over the decades. Since debuting in 1995, Goldust’s flamboyant and sexually ambiguous personality kept the attention of the audience throughout his multiple WWE runs. The award winning WWE Network allows fans, both old and new, access to a massive video library where they can re-watch some of wrestling’s hottest moments on a whim. It’s a different world from the days where collectors had to invest a pretty penny into tracking down a specific VHS tape that contained a rare clip of footage. 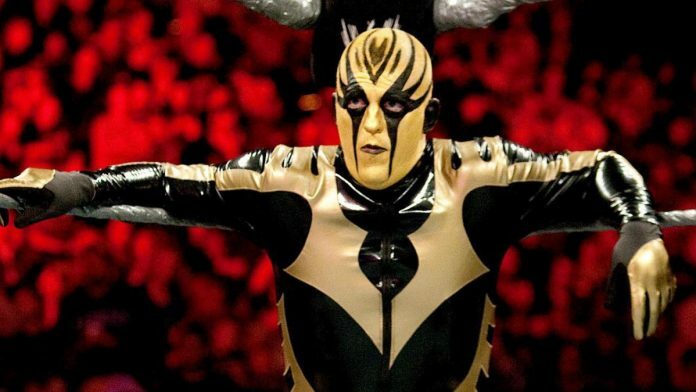 Goldust thinks that the change in technology has introduced his character to a broader audience; granting him a new lease on the character’s shelf life. As WWE continues to evolve as the global leader of the wrestling industry, so has the practices of the company. 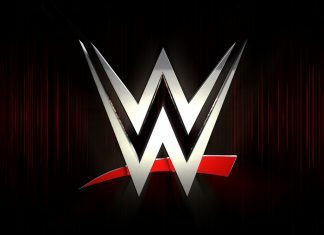 In the late 1990s, the then World Wrestling Federation would give their superstars the ability to have creative influence over the direction of their characters. 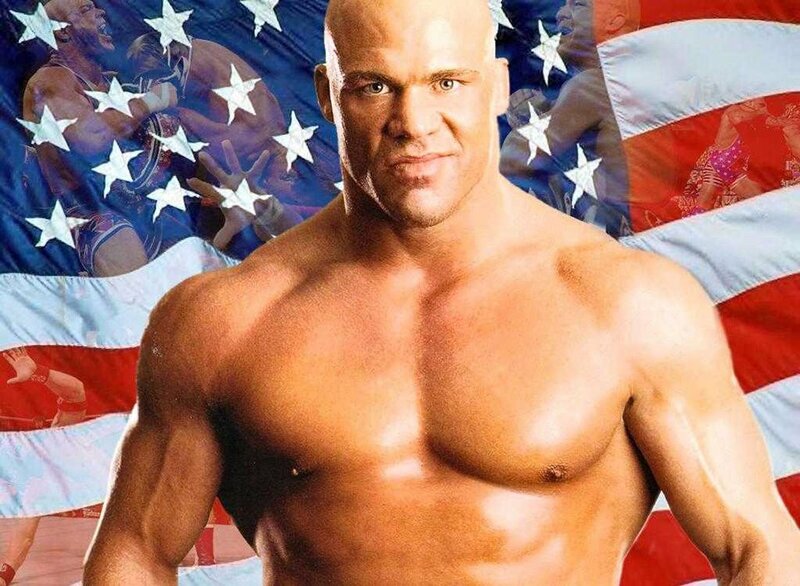 The Attitude Era provided a goldmine for fans who loved outrageous personalities and skits. Stars like “Stone Cold” Steve Austin and The Rock became worldwide phenomenons. With the company currently producing dozens of hours of live content every week for television and the Internet, the scripting of their programming plays a major role in how the company currently operates. 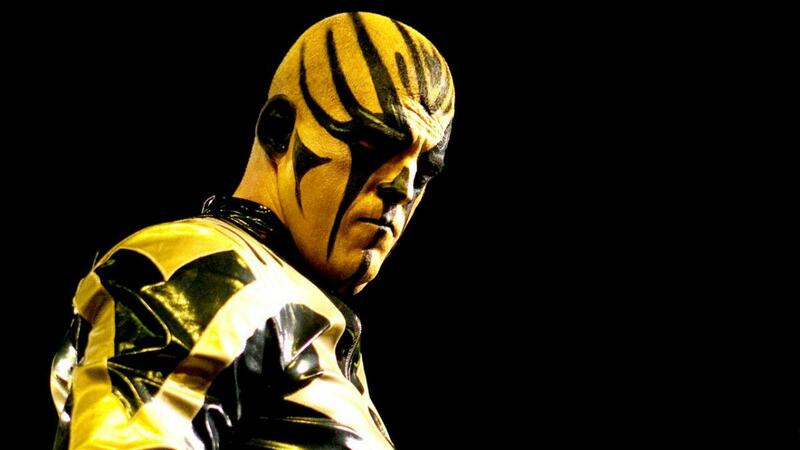 Goldust reveals to Still Real To Us that because of his tenure and standing in the organization, he still has an authentic voice when it comes to his on-screen presence. His intense rivalry with former tag team partner R-Truth in May of 2017 proved just that. Goldust knows better. He learned the ropes from his father, WWE Hall of Famer Dusty Rhodes. Rhodes, who had legendary battles with wrestling icons like “Nature Boy” Ric Flair and “Macho Man” Randy Savage, left an everlasting impact on the creative side of the wrestling business before his passing on June 11, 2015. “The American Dream” believed in committing to a character, and Goldust tries reminding the next generation of professional wrestlers to never lose sight of that–no matter what the script says. His father, who served as NXT’s head writer and creative director, would instill those values into the NXT roster. The Goldust character comes easy for the painted wrestler in 2019. He found his role years ago. Performing in front of the current audience is second nature for the longtime WWE competitor. 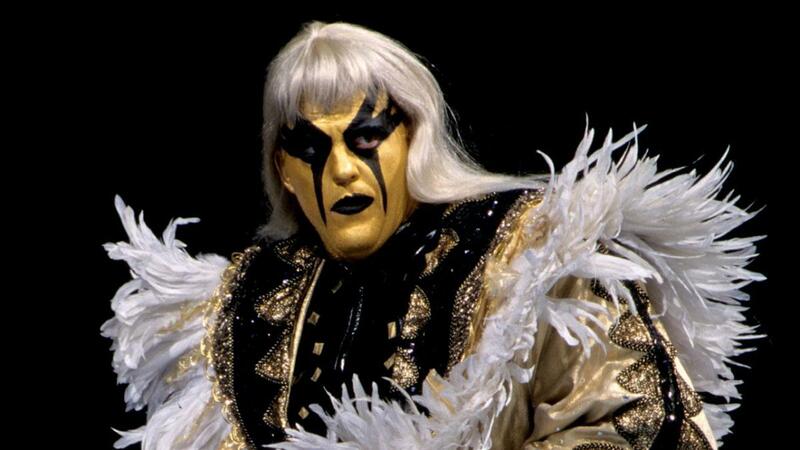 In order to stay true to the character’s roots, Goldust took liberties into his own hands to make sure that the role he was playing would be portrayed in an accurate light. Besides gaining valuable insight from his colorful father, Goldust had another powerful mentor in the early stages of his career. WWE CEO Vince McMahon taught Goldust to make every second count. It’s an important lesson that the former three-time Intercontinental Champion never forgot. He holds McMahon’s advice near his heart at all times. “Vince taught me this, years and years ago. He said, ‘Okay you’re going to have two minutes to talk. Two minutes is a long time to keep the fans interested. So you better be damn good at what you’re doing in two minutes to keep the audience tuned in,'” Goldust recalls. These days, the WWE superstar knows how valuable those precious seconds of airtime are. He treasures any amount of time he is given to make an impact on viewers who are watching at home. Knowing how to effectively communicate in front of the camera is an essential part of the professional wrestling business. In order to truly succeed, wrestlers must be ultimate trash-talkers. Tickets to live events just don’t sell themselves. The wrestlers have to embrace their characters in order for fans to pay for the seats. For some sports entertainers, the skill comes easy. For others, it never comes at all. There is one ultra charismatic wrestler that Goldust tells fans to keep an eye on. 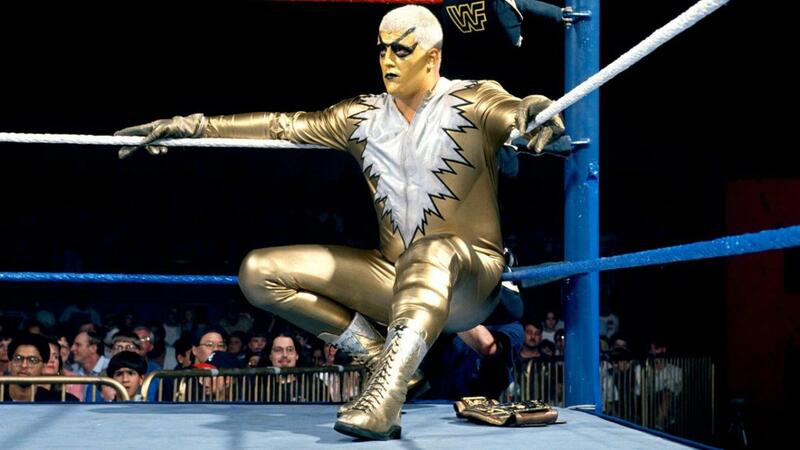 Goldust’s brother Cody is another shining star on the wrestling circuit. Since the shocking announcement of Cody’s new promotion, All Elite Wrestling, fans from all over the world have been glued to the Internet searching for more information about the company. Signing former Ring of Honor stars “Hangman” Adam Page, and Christopher Daniels was a bold move for the startup. Following those names, Chris Jericho, one of the most well-known wrestlers in the industry, recently signed a major contract with AEW. Goldust is not surprised that Cody has found his calling. He is a Rhodes, after all. The family name is up there with the McMahons, Harts, and Von Erichs. It’s not bad company to keep, if you ask Goldust. “I was born into the business. It’s in the blood. It’s in Cody’s blood. It’s in my family’s blood. It’s something that we absolutely love. There’s such a deep passion in our family for this business,” Goldust tells Still Real To Us. “You’ve gotta have that passion for this business in order to be successful. If you come in, and you’re a bodybuilder or some kind of fitness expert, who just wants to try wrestling–that’s fine. That’s great. I think it takes a special kind of person who grew up in the business that makes it special. With AEW picking up serious momentum, fans are pulling for the new wrestling company to step up and offer WWE healthy competition. Goldust thinks Cody is going to learn a new aspect of the business. He knows his brother will be able to focus on making his latest venture a success, while dealing with obstacles along the way. It’s no secret that Cody is on top of the world right now. 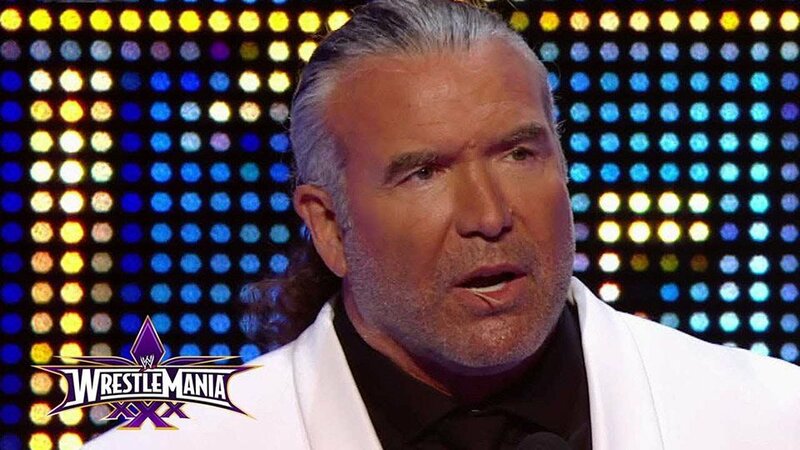 He has the support of the fans, and the money behind him in order to make AEW work. Goldust has a few tips for his brother if he comes across problems later down the road. While his brother is getting AEW in order, Goldust only has one regret in his career: not having a WrestleMania match with Cody. It was something that Goldust wanted to accomplish in his latest WWE stint, but the stars were never aligned. If it were up to him, it would still be a possibility. Even though Goldust might not have the chance to battle Cody on the grandest stage of them all, he has fond memories of other matches that solidified his legacy in WWE. Fans will always cherish his clash with the late “Rowdy” Roddy Piper at WrestleMania XII, and his comeback against The Shield. The Fastlane match was the first time Goldust and Cody worked together. It didn’t take off as they wanted it to. They were limited with time, and creative plans. The brothers clicked in the ring when they worked a two-week European tour together. Goldust says that their in-ring chemistry really showed during the live events. They tore the house down, and fans were begging for more. Astronomicon, which takes place from February 8 to February 10, will also feature other wrestling superstars, including Scott Hall, Scott Steiner, Jake “The Snake” Roberts, and The Boogyman. You can purchase tickets to the convention HERE.